Following up on last week’s bizarre blowback to the news that Sulu is gay in Star Trek Beyond, the movie’s writer/Scotty Simon Pegg has written a predictably clever essay about his decision. There are some funny bits, including Pegg’s breakdown of how all of the Enterprise crew members could be queer. (“Kirk is a pansexual fun seeker; who knows why Bones got divorced?”) However, the meat of the piece starts when Pegg goes into detail about why he, co-writer Doug Jung, and director Justin Lin went forward with the plot point even after knowing that George Takei, the man it was supposed to honor, wasn’t on board. “By the time, we mentioned it to GT, the idea had taken shape, it felt good, interesting and worthy of thought and conversation,” he writes. 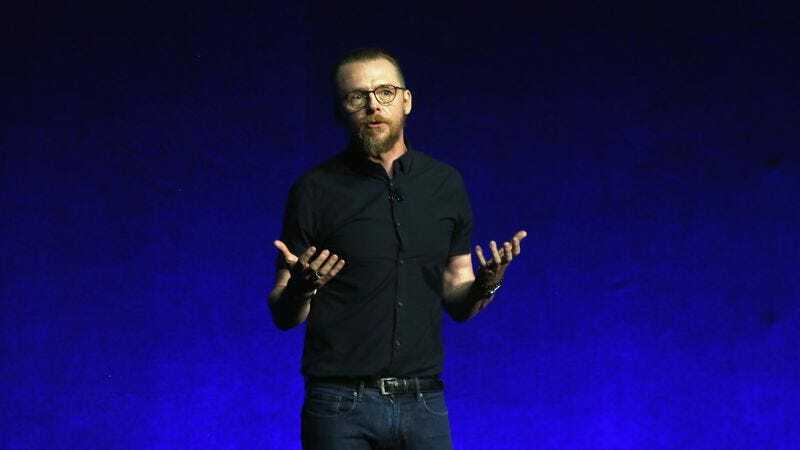 Pegg then gets into a vigorous, if somewhat headache-inducing argument about what constitutes canon given that the recent films take place in the Kelvin timeline, an alternate universe from the original series. Shorter version? Gay Sulu doesn’t ruin anything Gene Roddenberry established. Sure, we experience time as a contiguous series of cascading events but perception and reality aren’t always the same thing. Spock’s incursion from the Prime Universe created a multidimensional reality shift. The rift in space/time created an entirely new reality in all directions, top to bottom, from the Big Bang to the end of everything. As such this reality was, is and always will be subtly different from the Prime Universe. I don’t believe for one second that Gene Roddenberry wouldn’t have loved the idea of an alternate reality (Mirror, Mirror anyone?). This means, and this is absolutely key, the Kelvin universe can evolve and change in ways that don’t necessarily have to follow the Prime Universe at any point in history, before or after the events of Star Trek ‘09, it can mutate and subvert, it is a playground for the new and the progressive and I know in my heart, that Gene Roddenberry would be proud of us for keeping his ideals alive. Infinite diversity in infinite combinations, this was his dream, that is our dream, it should be everybody’s. Perhaps this is the end of the debate. We doubt it, but it’s worth a read, regardless.